Wow… it has been a very long time since I have written an update blog. Might want to grab a coffee… as you know this is my time to be long winded and this one might just end up being long hahaha… if you have been here before you know they ALL end up long… if you are new here… settle in! Time seems to move so differently here. We tend to lose track of days and dates like never before. The new reality has us plotting dates and remembering by the arrival and departure of volunteers and the things we do. It is busy here… but without the hustle and bustle of the North American clock and calendar. Now that we live here full time, we have to move slowly. The constraints of money and also the need for us to live as a normal family… with down time so we don’t burn out moving at our normal pace of ‘only 6 months here, gotta move, FAST!! !’ Things are so very different now. Ask anyone in my family what day it is and you will get the same clouded look back at you… the answer will be the same… “so and so left on Sunday… 2 days later we did a medical clinic up in Salitrillo so that must have been Tuesday…. the next day we built a structure, so that must have been Wednesday…. we also installed some smokeless stoves and planted chaya, that was 2 days ago so today must be Monday?” etc etc. 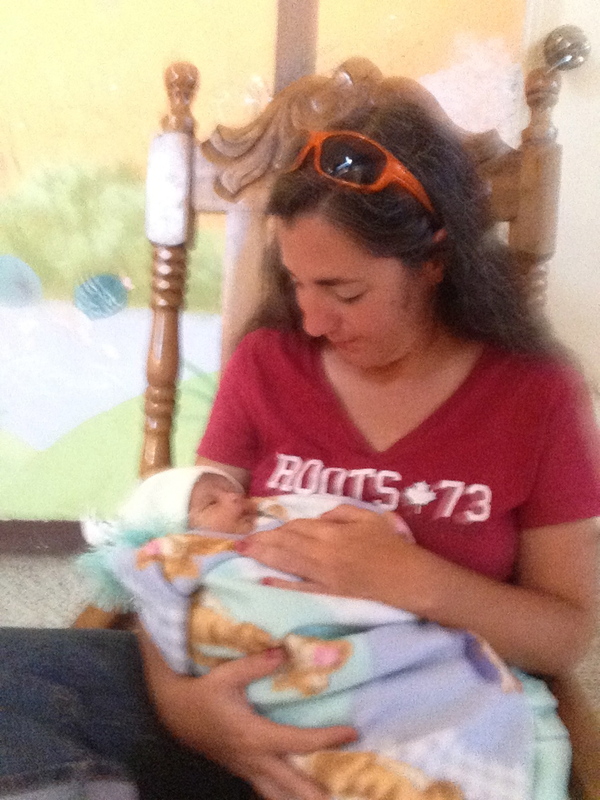 This is how time moves here… So, my humblest apologies for not updating sooner! I think we have finally adjusted here. And by “we” I mean “me”. Everyone settled in quickly except for me. I had my share of struggles as I pointed out in my last blog. Well, I continued to struggle at times. Make no mistake, its not that I don’t want to be here or that I regret my decision in any way. I was simply adjusting. Its been a roller coaster of emotions here over the past few months. If you have been here before you know that we do Highs and Lows at dinner. This is a time for everyone here to express the good and bad about their day etc. We find ourselves these past months with many extreme HIGHS and many extreme LOWS. We had, and continue to have, long term guests. Melissa… we loved having her again and look forward to having her bless our family and the people here once again someday. She was here just over a month… too short but we are thankful she was here!!! She is missed…. very much! Rachel VG… she has been here for almost 3 months. What a joy she has been. Her joy is infectious. She is always smiling and sees the world in a way that is so refreshing. She fits into our family alarmingly well. She works hard and contributes so much to our life here. I never had s daughter but I now feel that I do in a way. Im so blessed that her family allowed us the privilege to borrow her for a while. I pray she will bless our family again someday! Family came… Geoff’s sister Judy and our nephew Peter. What a joy to share with family and spend time with those we love and miss so much. 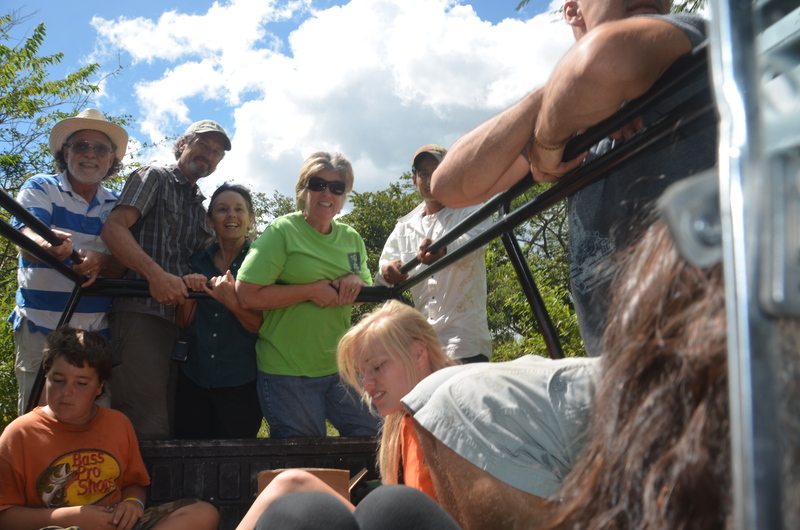 We toured villages in need of schools and hope to someday build to help those communities that have need. 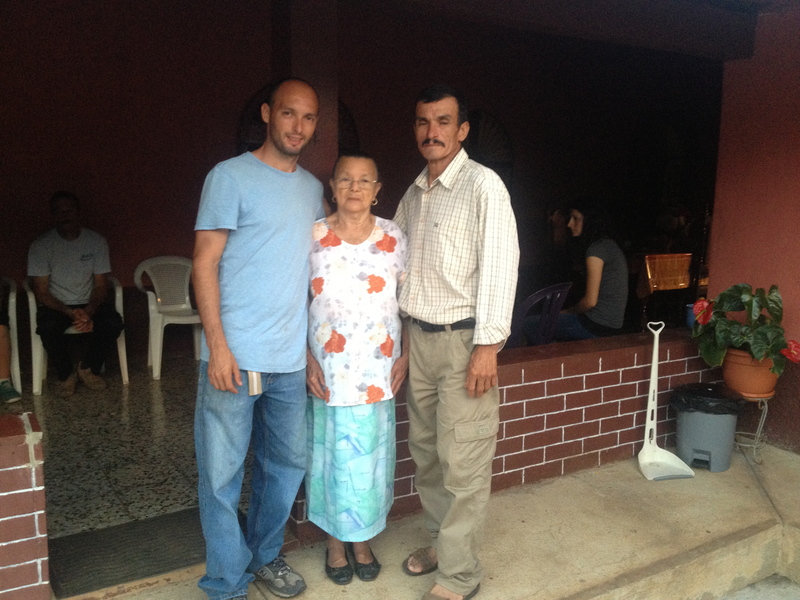 Others were here as well… Jon came from Nicaragua and Fernando, a dear friend from Beamsville. Awesome men who came and helped… and played games and taught us how to cook pizza properly. 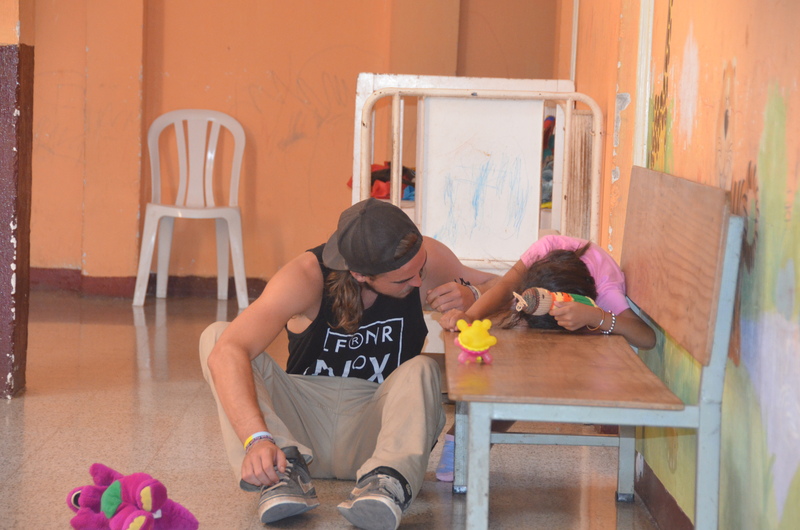 Sometimes people simply come to check things out… help where they can… and spend time with us. We need that so much! Very big High!!! 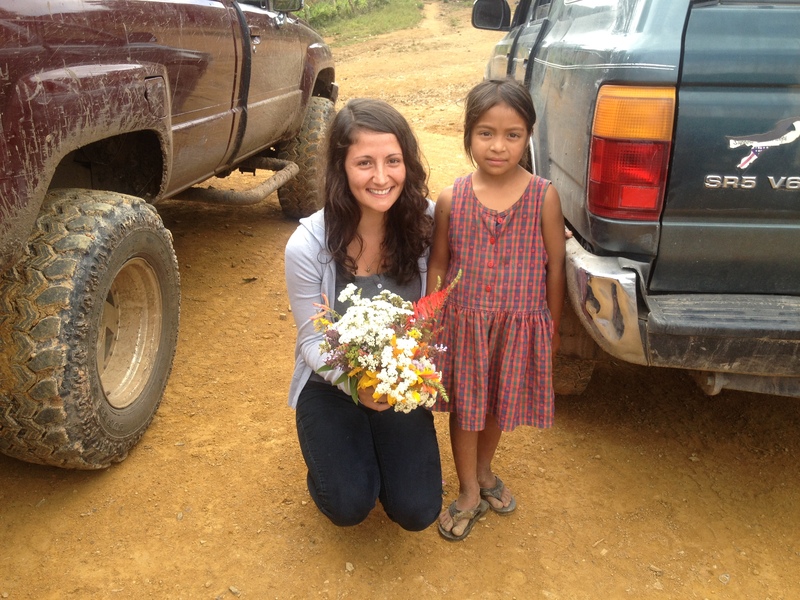 Melissa and her welcome gift of flowers from a little girl in El Salitrillo. 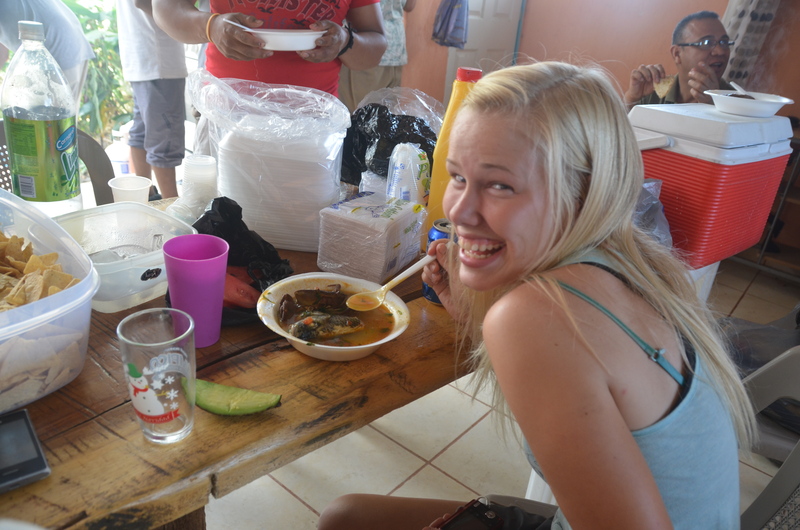 Rachel VG ‘enjoying’ some fish and river crab soup… yum…. Our umbrella organization Commission to Every Nation made their yearly visit. Our pastor couple, Stephen and Tammie blessed us so much. As did Trevor and Jana the Canadian Directors of CTEN Canada who joined them. To have them here to simply spend time with us and bless us… make sure we are ok mentally, physically and spiritually. I cannot begin to tell you how incredible this organization is for missional families like us. There are no words… Suffice it to say, for our entire family…. Very big HIGH!!! Hope Lives Apparel was here. 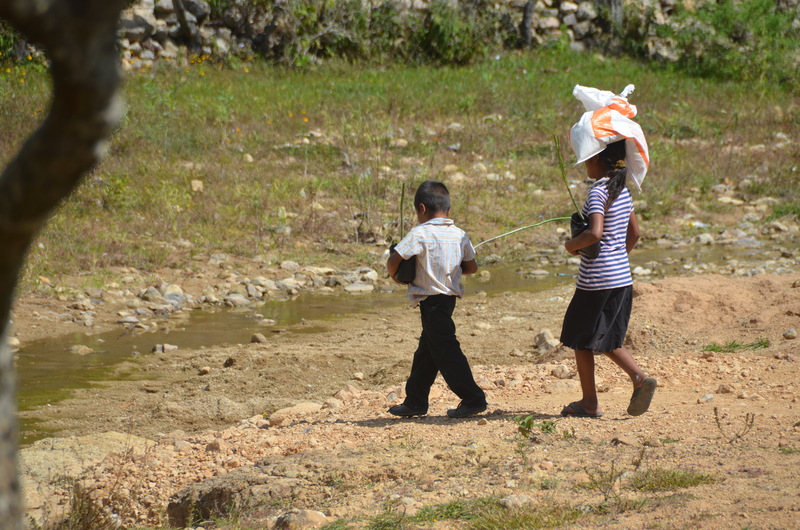 Armed with medical supplies for our hospital and money for food for those living in extreme poverty. 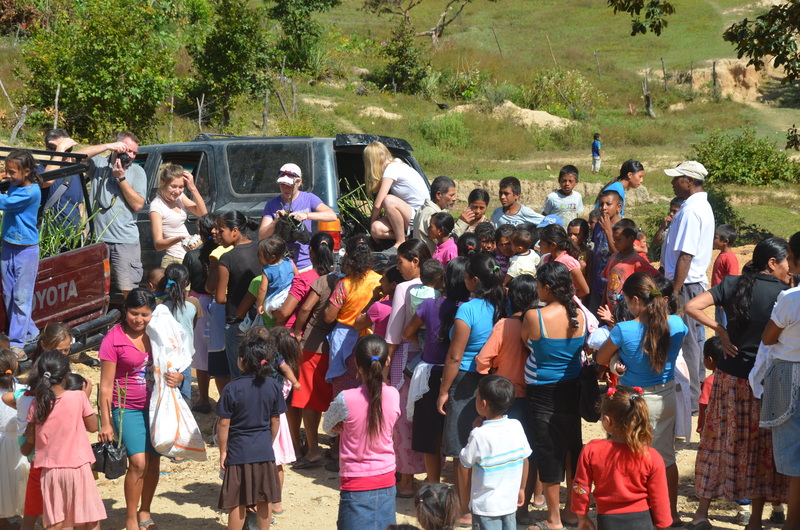 We did food drops in the villages of El Rosario and El Salitrillo. These drops included some much needed aid for these extremely poor people but also something different this time. Sustainable plants like Chaya and fruit bearing trees!!! These plants will continue to provide much needed nutrients long after Hope Lives visit is a distant memory. Awesome!!!! 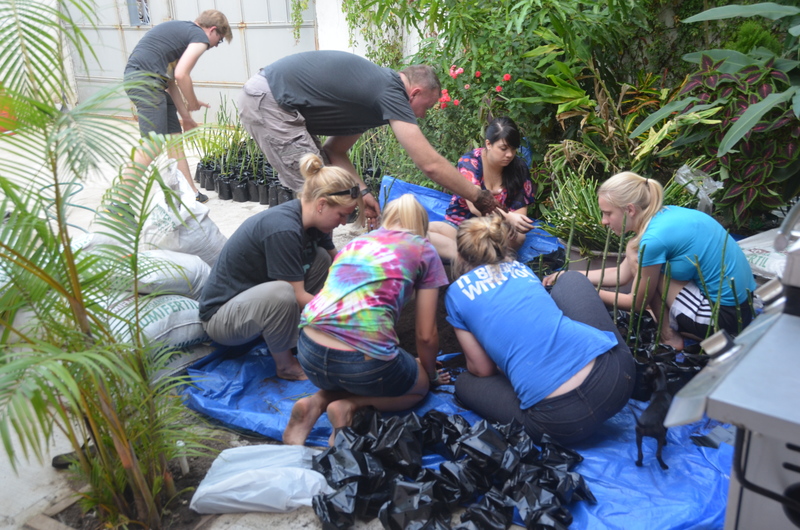 Hope Lives Apparel prepping the Chaya cuttings to be delivered with the food drops. Immediate aid AND sustainable food sources for the future from Hope Lives Apparel! Combine this with the visit of a Rotary club from Florida who installed 20 life saving smokeless stoves for families in the villages. Just today in the local paper was an article about the dangers of the cooking methods here. Startling statistics for Guatemala include: 2.1 million homes use firewood in their home as their principal source of energy (cooking and heating)… 60% of homes that cook using firewood have no chimney… 20% of families living in extreme poverty cook where they sleep and continue to burn wood for heat… 57% of the firewood used is contaminated with dangerous substances like the residue of agricultural chemicals. Women and children are exposed to harmful, choking smoke by cooking, on average for 4 hours every day. The results are major health problems involving cancer, pulmonary problems, chronic eye, ear, nose and throat infections etc etc. The above issue of not having proper smokeless stoves causes the death of an estimated 5,000 people every year… mainly women and children. I have spent much time in such homes…. and I know firsthand how this smoke chokes and burns your eyes, lungs, nose etc. It is horrible. 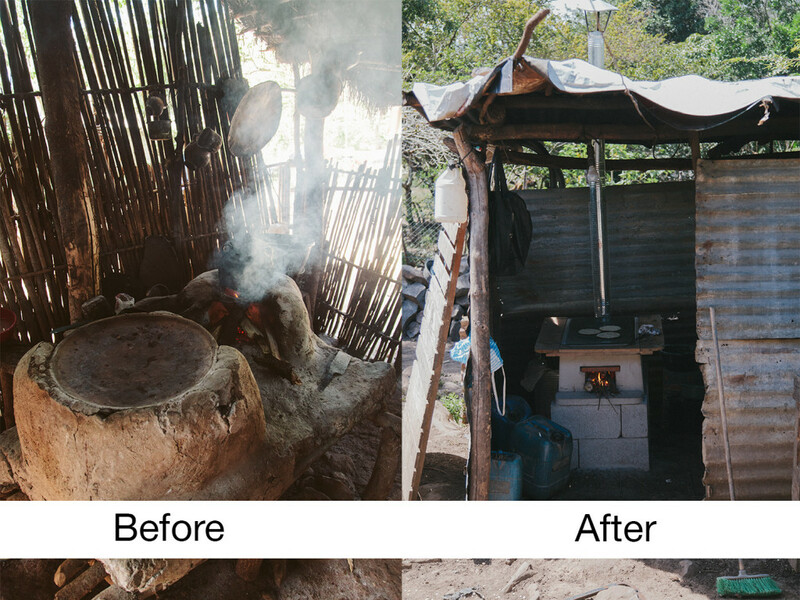 These stoves literally save lives and we are already seeing and hearing about the benefits of the stoves that were installed only a short time ago. The people are already healthier and using 85% LESS firewood and thus also helping save the dwindling forests here. Climate change is affecting the South too… it is colder here in the mountains… so much colder than normal. 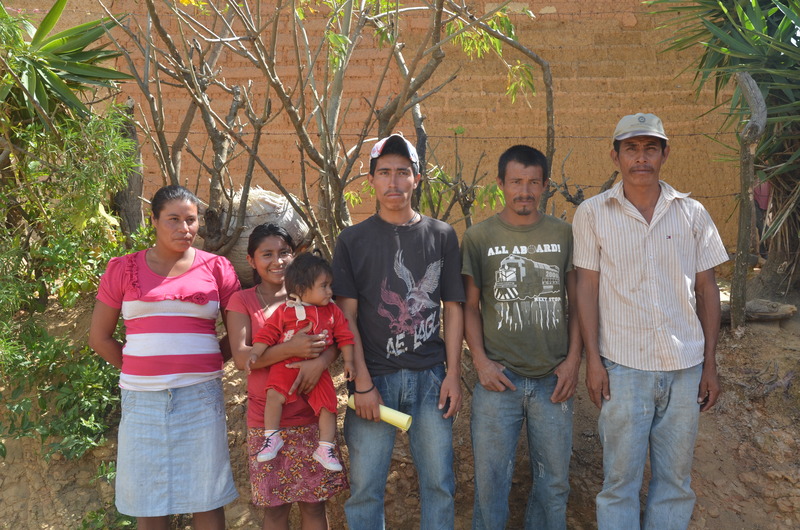 Families need heat… these stoves provide long lasting safe heat. So Awesome! Having other organizations here and getting to meet and serve alongside others with such big hearts, and accomplishing so much…. Very big HIGH!!! A tiny baby arrived at our the Hospital Infantil… Precious little Jose was loved, fed, held and every effort was made to save this tiny boy. 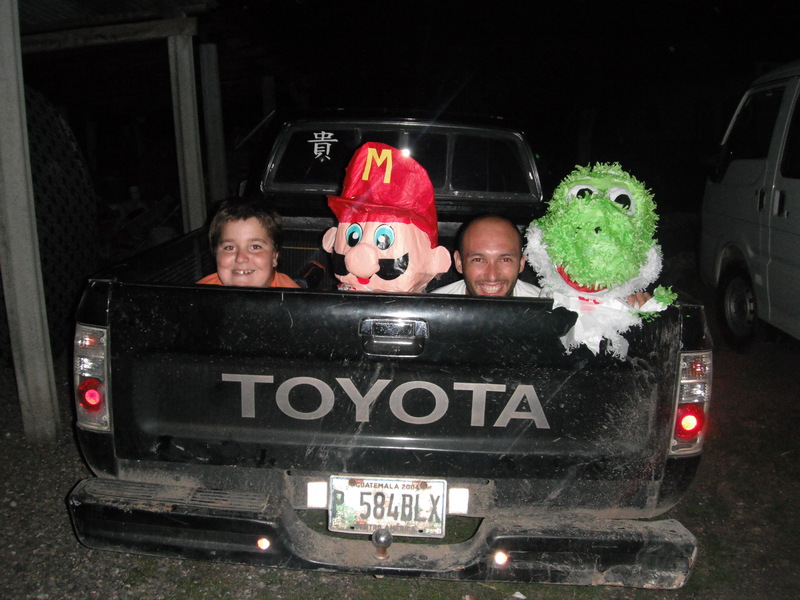 It simply was too late and Jose died…. Very big LOW!!! 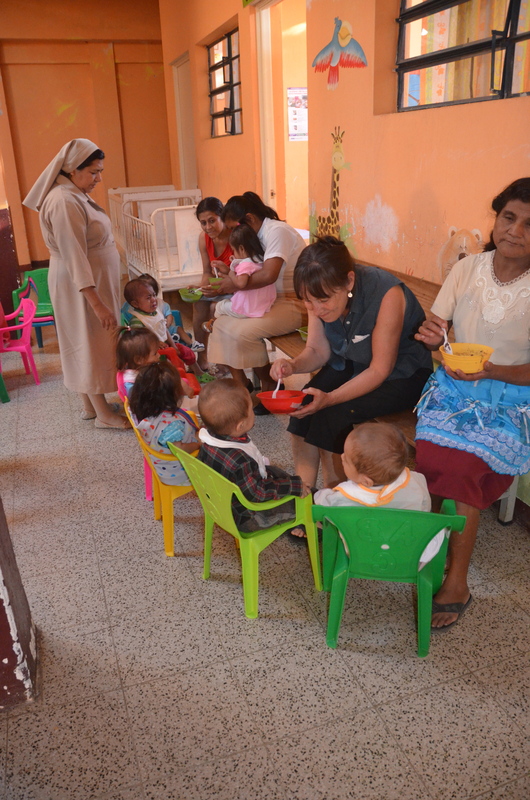 But for 19 other precious little ones who did not arrive too late, the hospital is doing great things and helping their tiny bodies recuperate and become strong, healthy and vibrant! Very big HIGH!!! Lorraine and Reinaldo from Vineland visited. They came armed with plenty of clothing, blankets and goodies for the people and money they had worked hard to raise back in Canada. 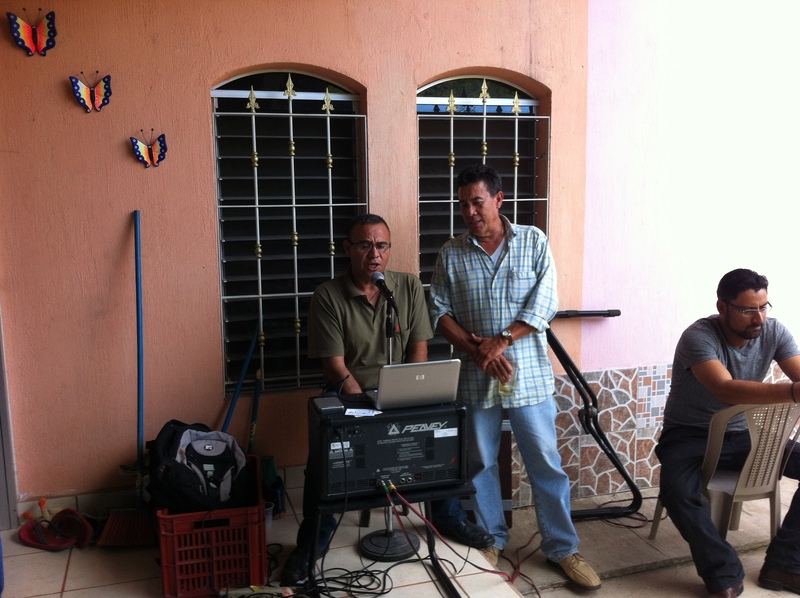 They provided 3 roof structures in El Salitrillo. 2 for families in desperate need and one for a school room for children ages 4-6. We are working on getting a teacher for these children for a Jan 17th start. They are also providing a bridge to get across a gully created by running water down the steep slope. This is very dangerous for the little ones during rainy season as one mis-step could be disastrous. Through their efforts there is also a little boy here who will be having surgery in January to fix a chronic problem with his ears that has him in pain almost every day for the past few years! Lorraine and Reinaldo also provided something you cannot buy with money. Something our family needed very much… friendship. Something clicked between us and they instantly became part of our family. We laughed until we cried and had so many great chats. We did not expect this and it was such an amazing blessing to all of us. Very big HIGH!!! 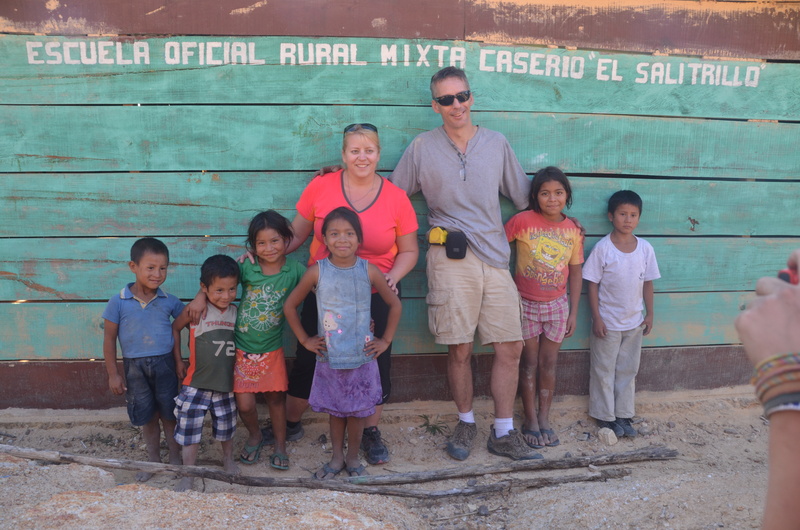 Lorraine and Reinaldo at the site of the school in El Salitrillo. They added a schoolroom! During one of our visits to El Salitrillo (the site of our Village Empowerment Program) for a meeting we met a woman and her little 3 year old daughter. They had walked almost 4 hours from the Village of Chequa to see us. Her daughter was ill and she heard we could possibly help. We took her and her daughter to the Hospital Infantil and she was told that without her daughter being admitted immediately she would die from malnutrition, Anemia and a myriad of other ailments all stemming from malnutrition. To make a long story short she stayed one night and the mom and daughter snuck away in the middle of the night because the woman’s husband refused to let his wife and daughter stay there and demanded they return home immediately. As I discussed in my last blog, the civil war here did some major damage to the Mayan people. The memories of this are still fresh and some of the more remote Mayan people still do not trust outsiders, even Guatemalan nuns who are doctors! For the next week, we tried everything to get this father to reconsider. To no avail. Knowing this little girl will most likely die without treatment… and being powerless to stop this needless death… VERY BIG LOW!!! 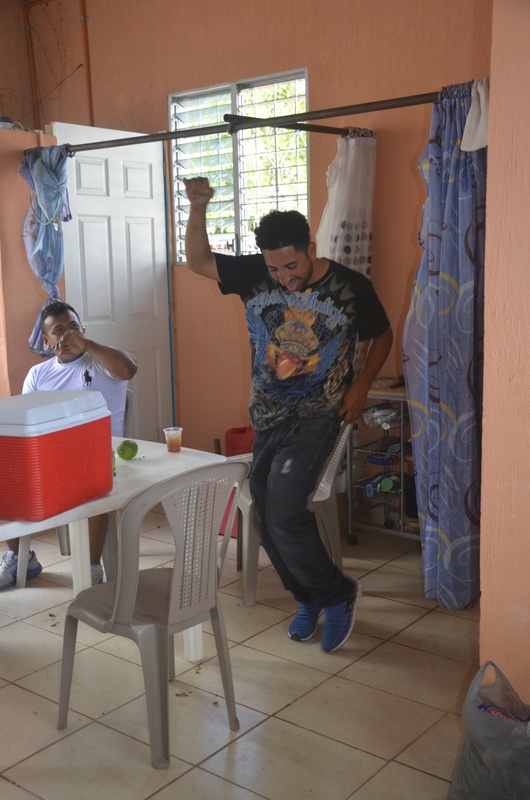 The man they call Cabra (goat) dancing. Gabe and Fernando share a birth date and so we celebrate together! So much fun. Fernando, Sr Chico and Grandma after Uncle Teo’s funeral. 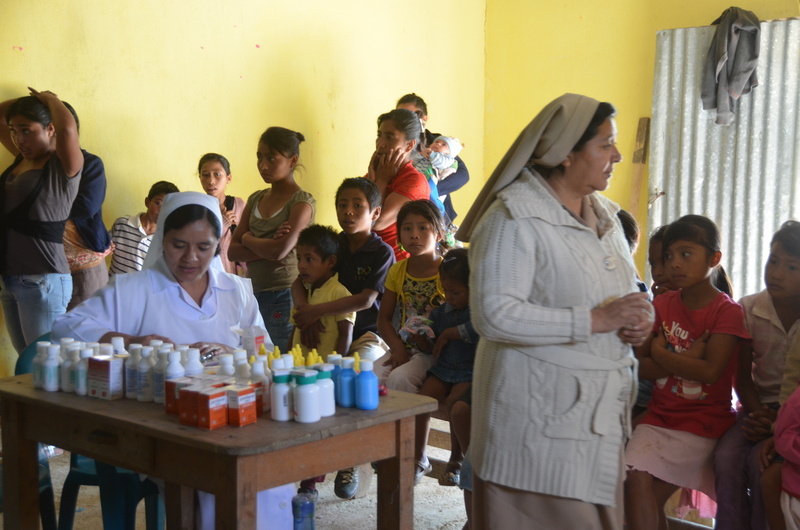 Medical Clinic in El Salitrillo. Over 100 men, women and children received care! 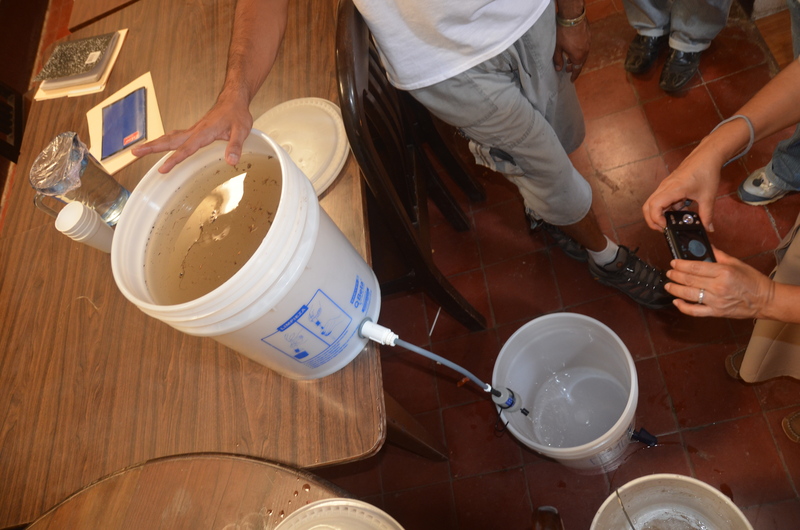 Water filtration systems that provide clean water for 10 years! The Committee in El Salitrillo. They represent the people. Selling our home in Canada!!! Fast closing and overall pretty painless sale. A huge burden off our shoulders… but bittersweet due to the knowledge that our life in Canada is different now… only visiting…. 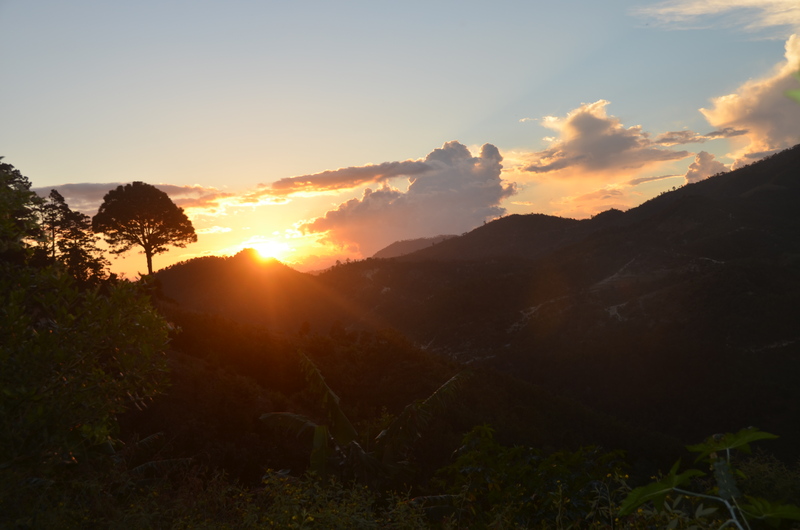 A high and a low… but overall a big HIGH because we are secure in the decision that we are meant to be here in Guatemala! So as you can see… life here is and has been a roller coaster. Every day we deal with life and death issues for other human beings that inhabit this same big blue ball floating through space as we do. My biggest worry is no longer what to make for dinner that everyone likes… my biggest worry is that something we do or do not do can be a life or death decision for someone. That knowledge takes adjustment… some getting used to. Its like our lives, our family, grew to include hundreds of people. People who matter just as much as we do. And we want to make smart decisions… decisions that help not hurt anyone. Just like anyone we want whats best for our ‘family’. We could let this break us. If we were to look at the failures and the losses only. If we did not have an internal way of looking at things differently. Never before in my life have I needed to learn a more, “the glass is half full” attitude. It is so important for us to look at the accomplishments, learn from the failures and know that we are mere humans doing what we feel called to do and doing it as best we can. Sure we make mistakes… but we are learning, growing, adapting… The glass IS half full. Our proverbial bucket IS filling one drop at a time. Sometimes we have leaks… but we seal them the best we can. We cannot do this alone… we need God and we have Him. With Him all things are possible. We also need YOU. People like you to help… to help by supporting our mission… to help by providing prayer, friendship and encouragement…. by listening to our ups and downs with compassion and understanding…. by sharing in our joys and sorrows. In 3 countries we have an amazing set of friends… of family… amazing Churches… an amazing life. And we are going to live it as we were meant to. Here, in Guatemala as a united family. Thus life, love, loss and hope is the order of business today. All is good and we are doing what we can where we are…. trying to involve others to help… living our lives and loving every minute. Celebrating the highs and accepting the lows… adapting. Knowing that together we can and will make a difference one drop at a time in that bucket I talk so much about! How you can help? This Christmas and beyond (I say beyond because while this season is promoted as the season of ‘giving’ it is my belief that EVERY season is a season of giving) go to our official website: http://thedoppenbergs.com/?p=2203 and buy someone a stove, some plants, some fruit trees etc… give the gift of life… give the gift of hope. Help us DIG deep and fill that bucket!! God Bless you all and a very Merry Christmas from THE Doppenbergs In Guatemala! 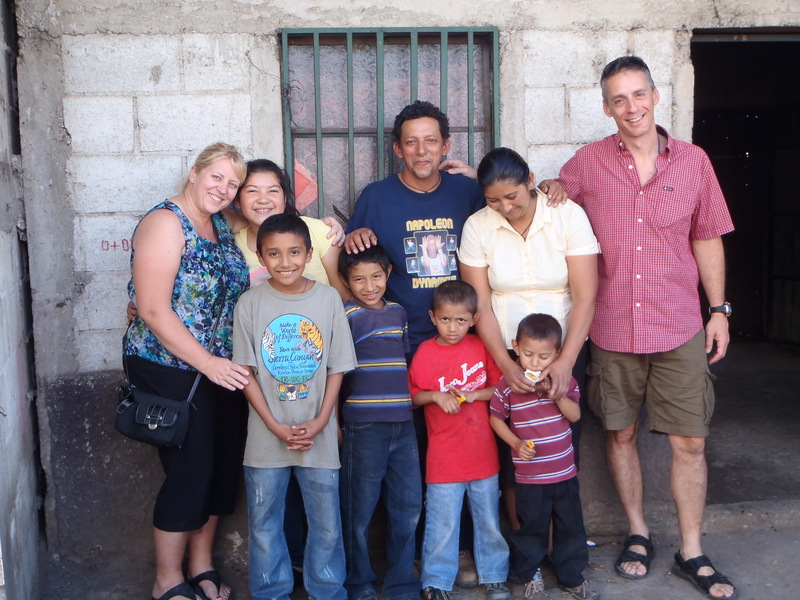 Posted on December 16, 2013, in Guatemala Missionary, Uncategorized and tagged celebrate life, friends, grief, Guatemala, Hope, Malnutrition, mission, Missionary, nutrition, Volunteers, World Impact, Youth. Bookmark the permalink. 1 Comment. Thanks Rita, as always, it touched our hearts.Gives us much to pray for. And we pray for a productive and blessed 2014 filled with ‘HIGHS’! Greetings to Geoff and the boys.